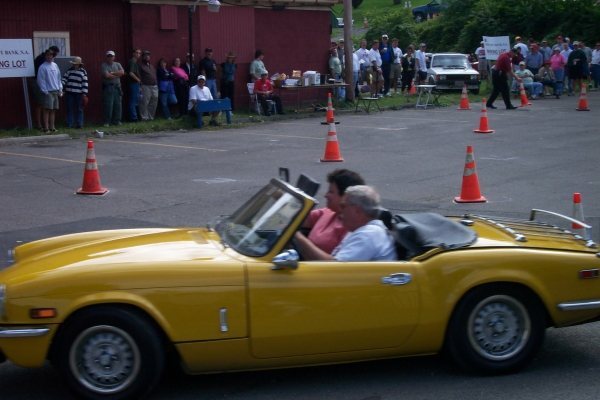 If you own a roadster and really enjoy driving your car, this tour is for you! Established in 2002 the KNAPP VINEYARDS Sporting Roadster Tour route changes each year as we continue to add new sections as well as re-use some of the really special roads. The tour is designed so that people who enjoy spirited driving will feel right at home, come out and celebrate The Running of the Roadsters. Final registration on the morning of the event takes place at Havana Glen Park 135 Havana Glen Road, Montour Falls, NY 14865 by 8:00 a.m. for the full tour, or 9:30 a.m. for the shorter tour. You must drive a convertible, open-top, two-seater sports car. Targa top cars such as Corvette, Elise and 911 are allowed, T-top cars are not. 2-seat convertibles from all vintages are welcomed, old and new. The route consists of both scenic and spirited driving roads in the Finger Lakes Region. The approximately 175-mile route is broken up into several seat-friendly blocks of time on the road with a morning break, a lunch break at KNAPP VINEYARDS and an afternoon break before the parade laps. Participants have the option of starting later, skipping the first segment, and joining the rest of the tour for an approximately 100 mile drive. An effort is made each year to alter the route as much as possible so those returning year after year can expect something new each time. However, certain main features remain constant, lunch and wine tasting at KNAPP VINEYARDS our very generous sponsor, and the two extraordinary Cayuga Health System Laps around the original 1948 6.6 mile Watkins Glen road course. After the parade laps have been completed all participants are provided reserved parking in downtown Watkins Glen allowing them to both display their cars as well as take advantage of the Grand Prix Festival. $115.00 per roadster. 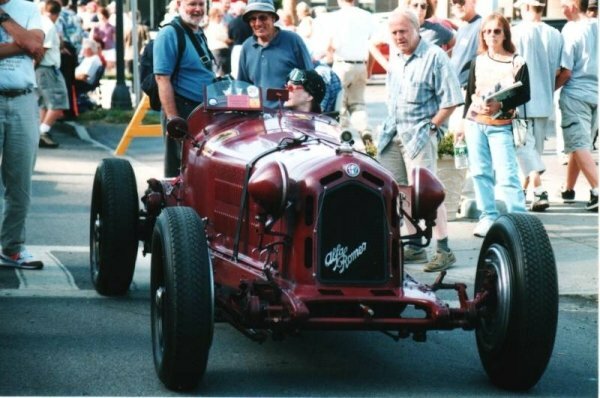 Entry fee includes lunch for driver and navigator, a commemorative bottle of Knapp wine, a commemorative dash plaque, unescorted tour routes with detailed driving instructions, two escorted Cayuga Health System Laps of the original 1948 6.6 mile race road course and reserved display parking in downtown Watkins Glen for the Grand Prix Festival activities. For an entry form Click Here and then print out a copy of the registration form. For quicker service you can call Watkins Glen Promotions at: 607-535-3003. Please note that registration for this event is limited and it fills up fast, so don't delay register today! Registration will remain open until the limit has been met, first come, first served; then a waiting list will be started. The waiting list is used to fill openings as cancellations come up. Confirmation letters will be sent out in early August containing a few basic details and your final schedule. If you have not received this letter by 8/15/19 you need to email Eric Navestad. The final packet that includes your tour route will be received at registration on Friday morning. To read a blog and view a video of the 2016 event, click here. To ride along with the roadsters for a lap of the historic 1948 Old Course, click here. If you would like to see some pictures from the Fifth Annual Running of the Roadsters Click Here to see pictures of our 2007 tour. Many thanks to our generous sponsor KNAPP VINEYARDS. Check out their website and get to know just how much they have to offer, and remember they can ship any of their fine wines direct to you, visit their web page at www.knappwine.com for details. Eric Navestad at roadstertour@gmail.com or by phone at 607-481-4255 (email is preferred).